Before the age of the smart phones women, men and children collected their favorite reads. Collecting hundreds of books novels and magazines. Problem is most homes barely have enough closet/storage space. Also it’s hard to find your favorite book in a box behind the dirty clothes hamper, much less get motivated to read it… So, Solution?? We got ya covered. 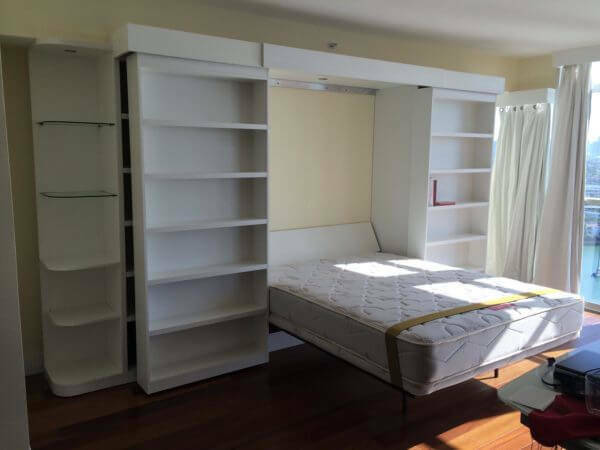 Ever hear of a library Murphy bed? 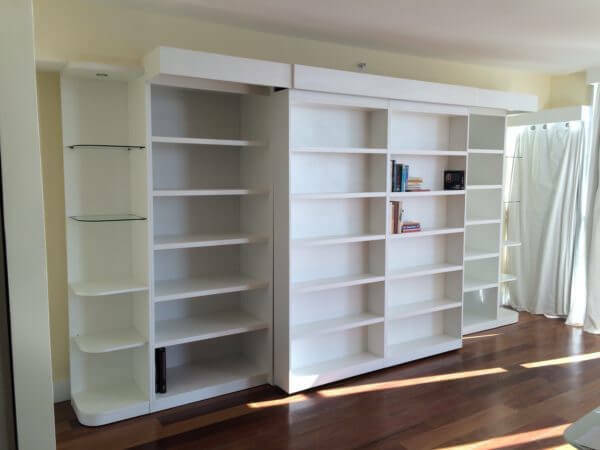 Yeah… I did say library murphy bed. So what exactly is that? Well, it’s a bed that folds up into a framed cabinet that’s in cased with shelves. “I’ll put an illustration below”. Sure there’s many configurations and so on but the general idea is that now you may store and display your favorite books and knick knacks on a beautiful piece of furniture that also dubs as a bed. Now that spare bed room or elegant office space can get a make over that’s well worth it.